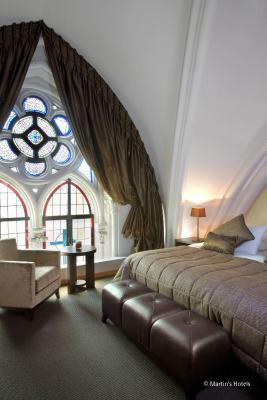 Lock in a great price for Martin's Patershof – rated 8.5 by recent guests! Staff was exceptionally friendly to us, and took great care of my sons needs. Food was fresh, abundant and varied. I was also impressed by how quick and responsive the front desk staff was during the reservation and check in process. Amazing place!!!!! Truely breathtaking! It is indeed like staying in an museum!!! Unbelievable!!! The building, the windows, the architecture. Absolutely jaw dropping. We stayed in the junior suite. Check inn was smooth! 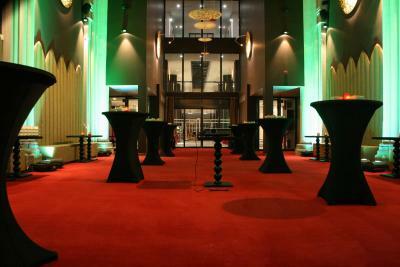 Reception was very friendly, helpfull and nice with everything what we asked. Breakfast we chose in the room and was great quality and more then we could have :) The area itself is in the middle of the centre, allthough we just went there to enjoy the suite and have a unique experience to stay in an church we did see the area when we arived with the cab and went back again with the cab. 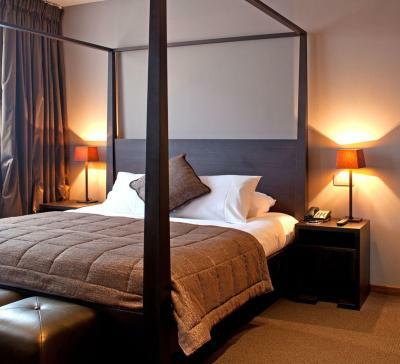 Great location and a hotel with character, set apart from the larger chains. Martin's generally do a good job. 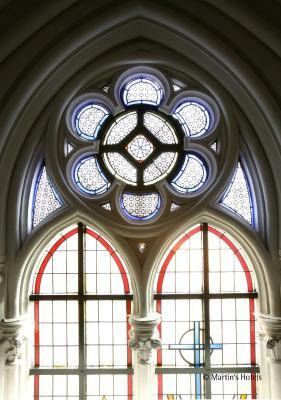 The location in a converted church with stained-glass windows and arches was awesome. A unique place in the middle of Mechelen, an ofter overlooked city in Belgium, but certainly worth a visit. 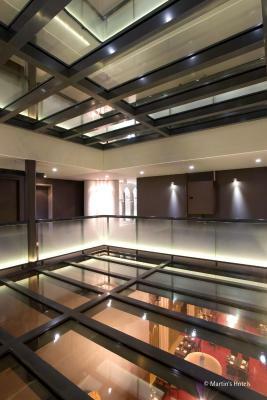 The hotel is beautiful, clean and the service is impeccable, friendly staff. Price/quality is great. It was very quiet & the room spacious. The bed was a highlight!!! The most comfortable mattress ever!!! Asked for the manufacturers' details at reception the next day and look forward to ordering one. A Nespresso machine! Lovely location. Great staff and comfortable stay. 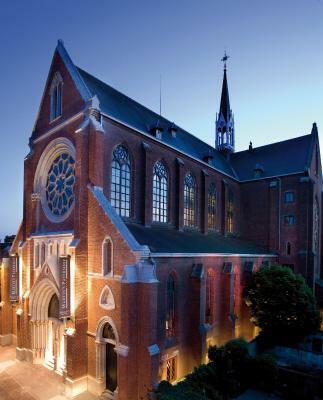 Although we liked the idea of a church converted into a hotel, this was a very superficial conversion. 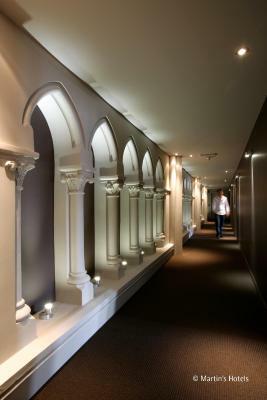 Offering free Wi-Fi, Martin's Patershof hotel in the heart of historic Mechelen offers unique accommodations in a former church. 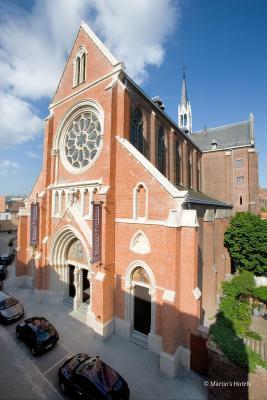 Brussels and Antwerp are 30 minutes by train from Mechelen Station, just over half a mile away. 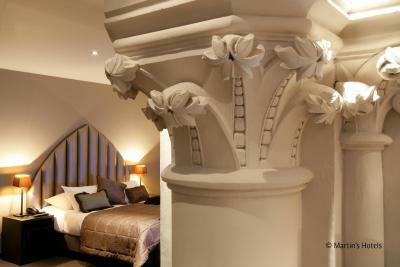 Combining original features with modern design, the stylish rooms provide a minibar and private bathroom. Every morning, Martins Patershof offers a healthy buffet breakfast with a glass of cava in the impressive choir of the old church building. 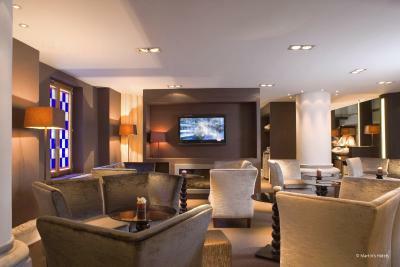 Martin's Bar offers a wide range of Belgian beers, cocktails and whiskeys. 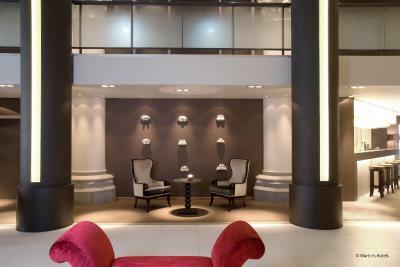 Thanks to the 24-hour desk, you can explore the city and its wider area in your own time and come and go as you please. 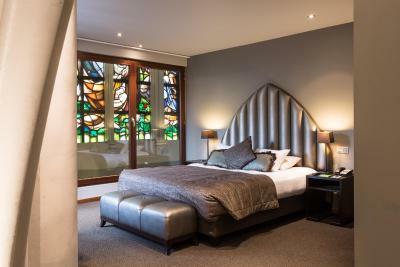 When would you like to stay at Martin's Patershof? 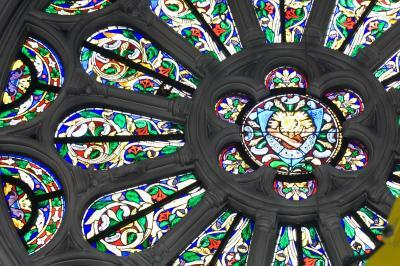 These rooms have typical church elements such as stained-glass windows. They have a spa bathtub, a king bed and free tea/coffee facilities. 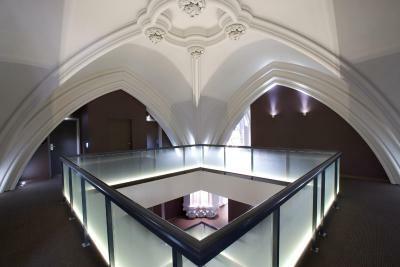 In the convent, this room includes a work desk, free luxury amenities in the bathroom and free coffee and tea facilities. 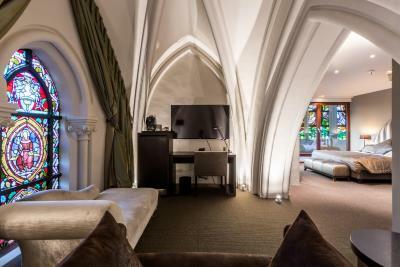 In the center of the church, this room has a flat-screen TV, free Wi-Fi, and a minibar. 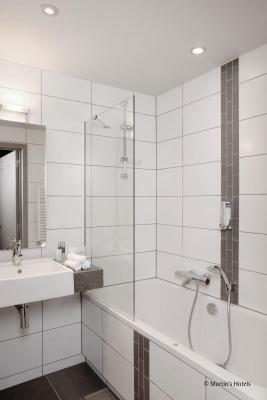 Its bathroom has a spa bathtub and free luxury toiletries. Breakfast and tea and coffee-making facilities are provided. 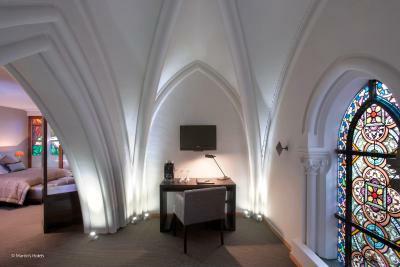 Located in the convent, this twin room comes with a work desk, free luxury amenities in the bathroom and free coffee and tea facilities. 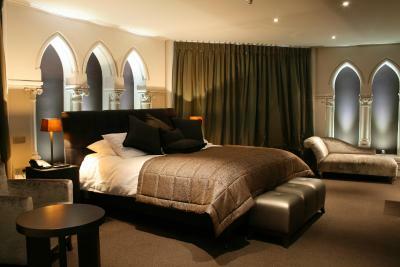 These twin rooms have characteristic church elements such as stained-glass windows. They have a spa bath and free tea/coffee facilities. House Rules Martin's Patershof takes special requests – add in the next step! Martin&#39;s Patershof accepts these cards and reserves the right to temporarily hold an amount prior to arrival. Martin's Patershof accepts these cards and reserves the right to temporarily hold an amount prior to arrival. For one night it was OK for me, but the wonderful windows can be an issue for claustrophobic people as we cannot properly see outside. Terrible smell in one of the rooms, which the staff didn’t take seriously after pointing it out. Some of the furnishings are starting to look a little tired but not excessively so. Room was not cleaned the first night, the pretend that their was a do not disturb sign on the door, but that was incorrect. Our previous stay was much better. Not sure that we will stay there next time. Nothing I didn't like. Perfect. Not much not to like everything was amazing. But if there is one little remark its the lighting in the room, allthough the beautiful structure is lighted in a nice way the rest of the room with halogene spots not dimable is too bright and for me personally not very nice, halogene is a bit outdated allthough it used to be a trend. Led rows are a better type of light. Most people prefer more and bright lights i prefer more atmosphere lights i can adjust to my liking, so its totally personal however would have been great to have a choice and with led rows its more choice of either a lot of bright light or very dimmed darker atmosphere light ;) But like i wrote that is so nitpicky! Everything is amazing!!!! 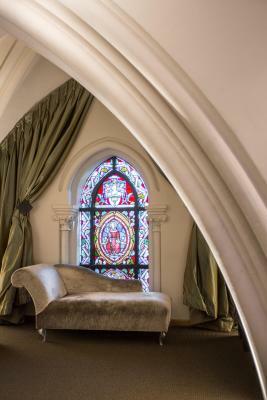 Whilst the dining room was fantastic, you really felt as though you were in a church, the bedroom was devoid of anything that would make you think you were staying in a converted church/monastery. Also the quality and size of the towels did not live up to the star rating. Bed was toooo soft, breakfast could have been a lot better for the money. 30MB free (very slow) WIFI for the money is really bad. For business trips I would expect proper bandwidth and limitless WIFI.